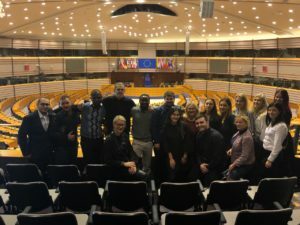 On Wednesday, 3rd of October, we did get the chance to visit the EU Parliament. We were welcomed by Estonian Jana Jalvi-Robertson from the Visit And Seminars Unit of the Directorate General for Communication. She gave us an overall presentation about the Parliament focussing on the development and enlargement of the EU as well as the political groups. The parliament is the the only EU institution, which is directly elected and in this way represents the EU’s 500 million inhabitants. It plays a key role in the legislative procedures of the EU and is crucial for the election of the President of the European Commission. It was really interesting to hear how the political views in Europe have changed and how this can be seen in the number of MEP´s in the different political groups. The European´s People Party and The Group of Progressive Alliance and Socialists and Democrats of the European Union are the two largest of the in total 8 political groups. The 751 MEP´s can choose which group the want to belong to and which one represents their polticial views the most. In addition some MEPs are non-attached members. In the last years the two EU critical political groups (Europe of Freedom and Direct Democracy & Europe of Nations and Freedom) have become stronger. At the same time the majority of EFD consists of MEP´s from the UK so a consequence of the BREXIT could be that this political groups does not have enough members to be represented in the Parliament in the future. Unfortunately we could not watch any of parliamentary work while we were there, as the week that we were visiting, the plenary session took place in Strasbourg.This is due to a clause in the EU Treaty that stipulates that the EU Parliament should meet once a month in Strasbourg, France. 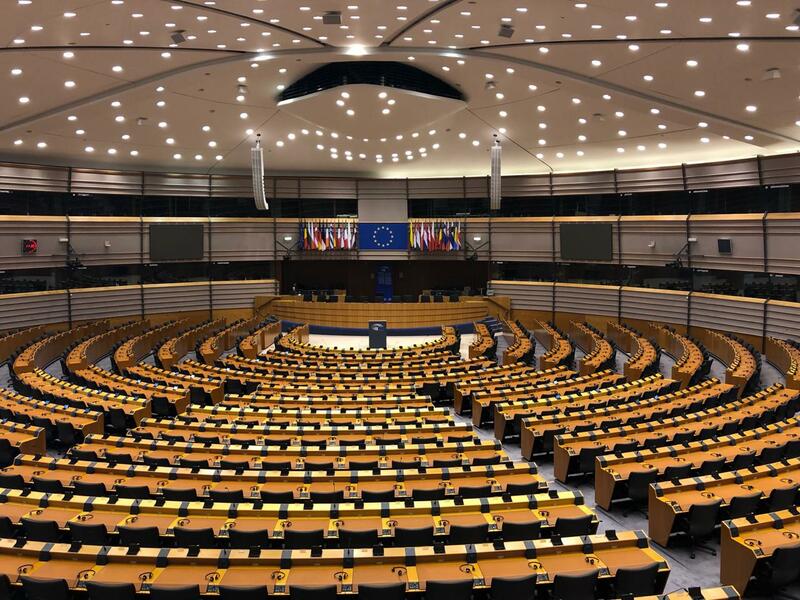 In Brussels the MEPs meet in the political groups and parliamentary committees. They vote on voting strategies in the Group and draft amendments to draft laws. Jana Jalvi-Robertson explained to us the daily work of MEPs how their time to speak in the Parliament is limited to a minimum and that they have to justify why exactly they should have the right to speak on a certain topic. Also she showed us the agenda of that day and where to find the live video of the plenary session on http://www.europarl.europa.eu/plenary/en/agendas.html. After the presentation we discussed the possible consequences of BREXIT and the candidate status of certain countries and then visited the plenary. Especially for me, non EU citizen visiting European Parliament was extremely educational, gave a lot of information and new experience. 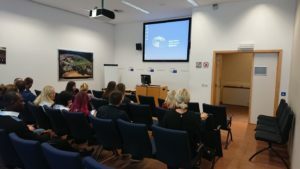 The visit of was a really informative and instructive experience for us and showed us how important the work of the Parliament is and as well how crucial it is that EU citizens influence the work with their vote for the Parliaments elections. We thank Jana Jalvi-Robertson for answering all our questions so patiently. Next Article Experiencing European Politics As Never Before!